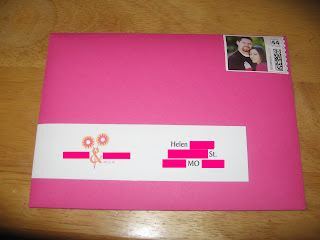 The DIY Bride: Wrap-Around Labels - Check! These were super easy to complete. I used another handy-dandy Xyron machine, except a smaller one. It is the 1.5" Xyron machine and it can typically be found for less than $10 (even cheaper if your sign up for Hobby Lobby weekly emails and use a 40% off coupon). 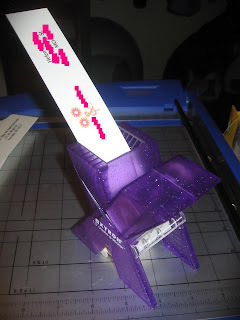 Making these was quite simple, and here is how I did it..
Open up an 11" x 8.5" document in Microsoft Publisher. My invitation envelopes measured at 5.25" x 7.25". Insert a text box (this will be the box that indicates the label as a whole.) I made the label 7.25" inches in length since it would still cover a majority of the front of the envelope and stll left some label to wrap-around to the back. 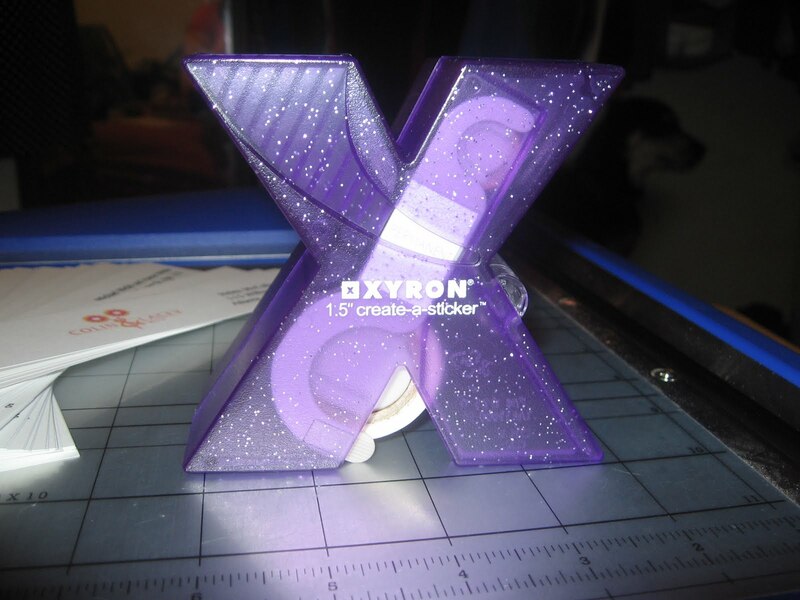 Since my Xyron machine can make stickers up to 1.5", I decided to make my label 1.5" in height. Overall, my label measured at 7.25" x 1.5", and this is what my text box was sized to. Insert a text box where your guests address will be, and insert a textbox where your return address will be. 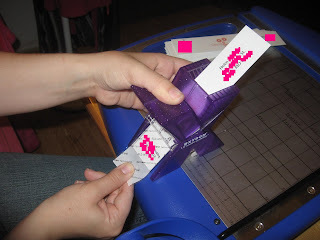 The return address portion should be on the far left and will be the portion of your label that get folded around to the back of your envelope. Insert any pictures, wallpaper, designs that you wish. Type in your return address, and begin typing in your guests address. I was able to fit 6 wrap-around labels onto an 11" x 8.5" document. It will be easier to make the labels if you "group" together your items in Publisher. You can do this by pushing "Ctrl" on your keyboard, then begin clicking on your items in your label. They will all become highlighted and then you will be given the option to "Group." 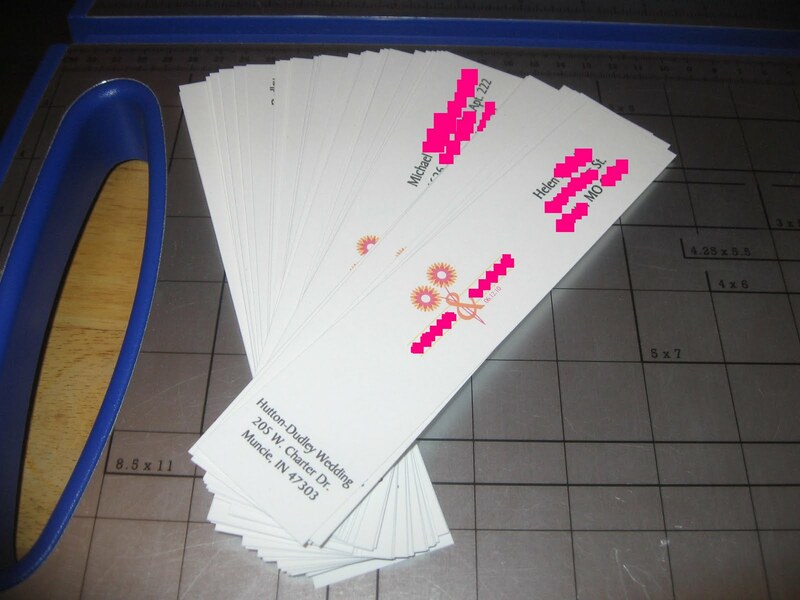 I printed them off and cut them out with my paper cutter. Then, I sent them through my Xyron machine. And here is what they looked like when added to an envelope.. This is such a great idea! I was considering buying one of these Xyrons but couldn't think of more than 1 or 2 things to use it for. Now I'm definitely getting it! Thanks for the directions... they are super cute!